I thought it was a very positive review and did cover the important things. Pretty interesting it has carbon brakes, not available in 2019 ? I thought you might like & enjoying seeing the review buddy. Like you I have the Tango Red Metallic on order. I showed the new video to my wife (Cathy) and she said, Terry that's like your getting. LOL !!! yeah the carbon brakes make me think this is actually a 2018. Seems like the press car that a lot of the magazines have tested that had the exact same spec. Still, great review. 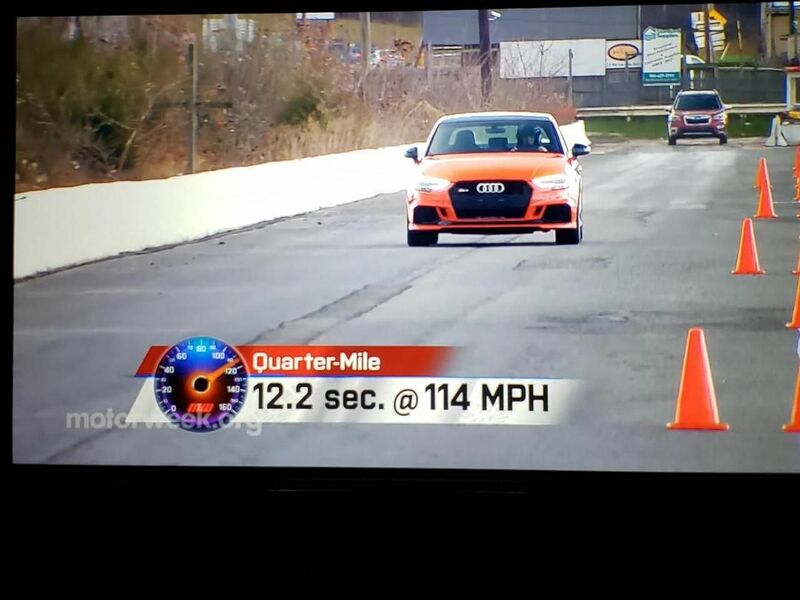 That 3.7 0-60 is pretty impressive since if recollection serves right that MotorWeek test track is pretty slippery. 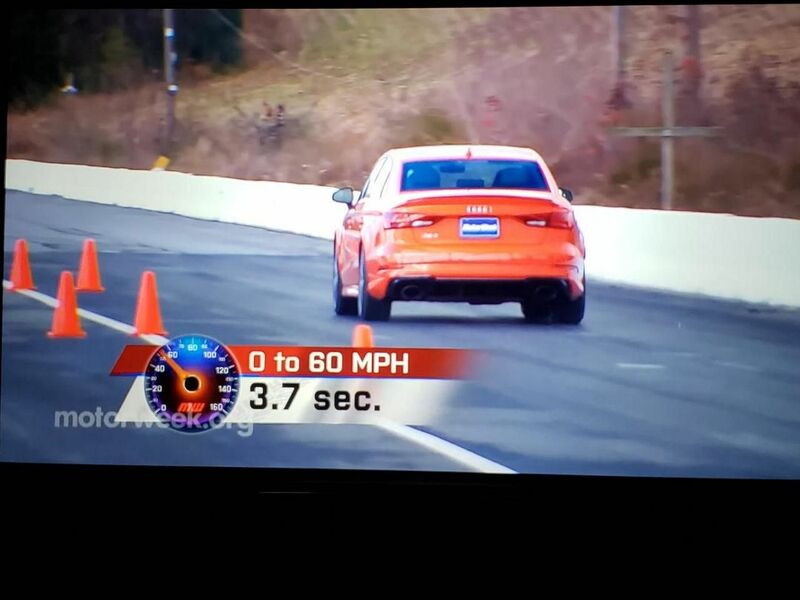 That’s actually one of the few times I’ve heard tire squeal on an RS3 launch. Completely agree, this is a Catalunya Red car. 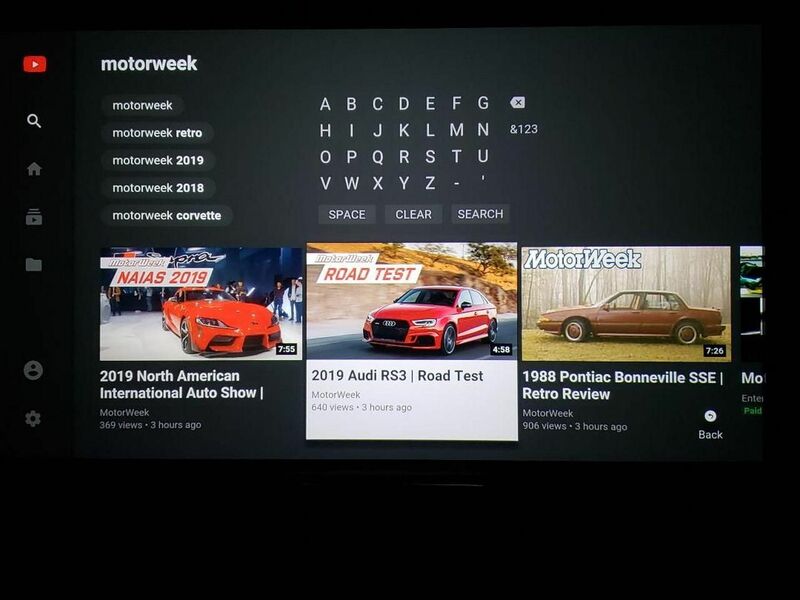 More than likely a 2017/2018 press car as mentioned before, where Motorweek didn't find enough justification to wait for a 2019 model to test. I wish they would have just said 2018. 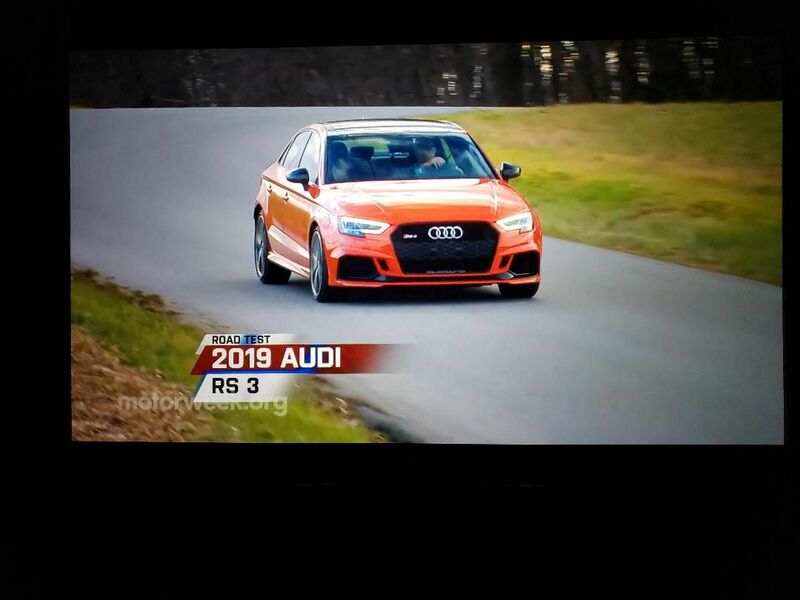 There's No-Doubt the RS3 in the test was a 2018 RS3 as like we all noticed it had/has the Ceramic-Front-Brakes & Catalunya Red exterior. But, I still thought it was worth posting the MOTORWEEK review just for what the tester/reviewer had to say. And that my fellow 2019 RS3 members and myself fall into that 100% ^^^. If any of you have ever been into Drag-Racing you already know that when your (Spinning) your (Losing-Time) !!! 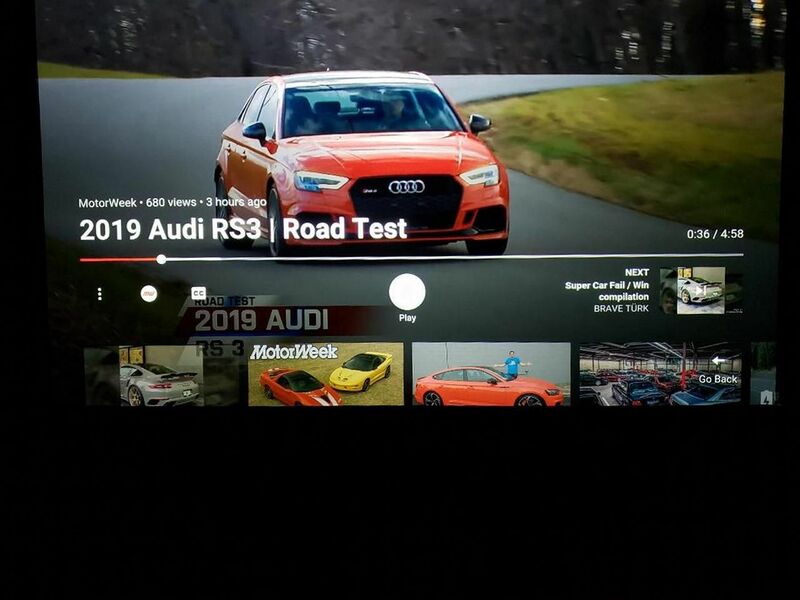 I mention simply to say that if you have watched as I have the videos on the RS3 a great many of those quote the 0 to 60 MPH as 3.5 to 3.6 seconds.